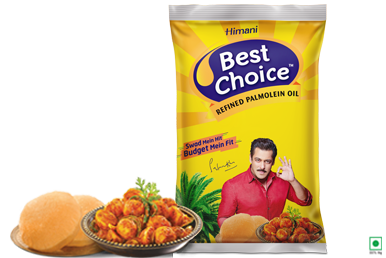 Himani Best Choice presents its finest quality of palm oil through the Refined Palmolein Oil. Cholesterol-free, Trans Fat Free healthy palmolein oil and cost-effective, with excellent oxidative properties. An important feature of this oil is that it is neutral in taste & flavour and stable at high temperature. It is good for shallow as well as deep-frying as it has moderate linoleic acid content and high level of natural antioxidants which gives it a high smoke point. Its natural property enables reuse without affecting the quality of the food.